The Austrian building center chain records declining sales in real terms in Austria. Growth rates are observed in Eastern Europe. In 2011, inflation exceeded sales growth in Austria. While real sales figures are declining in the domestic market, the company reached a nominal sales growth by 5.0% in Eastern Europe. Sales grew by 3.0% in Austria. As the inflation rate totaled 3.3% last year, real sales are declining. 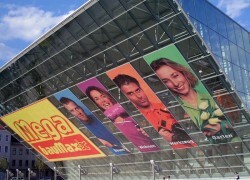 Baumax did not publish profit figures. Sales totaled € 1.6bn. This article includes a total of 277 words.